The amount of money spent by Premier League clubs in the summer transfer window fell to £1.2bn - the first time it has gone down in eight years. This is mainly the result of a shortened transfer window, which closed at 5pm on the eve of the Premier League season (9 August) rather than at the end of August as usual. The European transfer window remains open until the end of the month. Although there wasn't as much money spent overall, there were a lot crazy big-money signings, and a mix of predictable and surprising names among the Premier League's top-spending clubs. ​Liverpool had the highest net spend by some distance, splashing out £167.9m on four new signings and bringing in just £12.5m in sales. Although with the European window still open that has time to change, with exits for Simon Mignolet, Lazar Markovic and more likely. Closest behind in terms of overall spend was Chelsea. The Blues spent over £128m but made some of that back on the sale of Thibaut Courtois to Real Madrid. 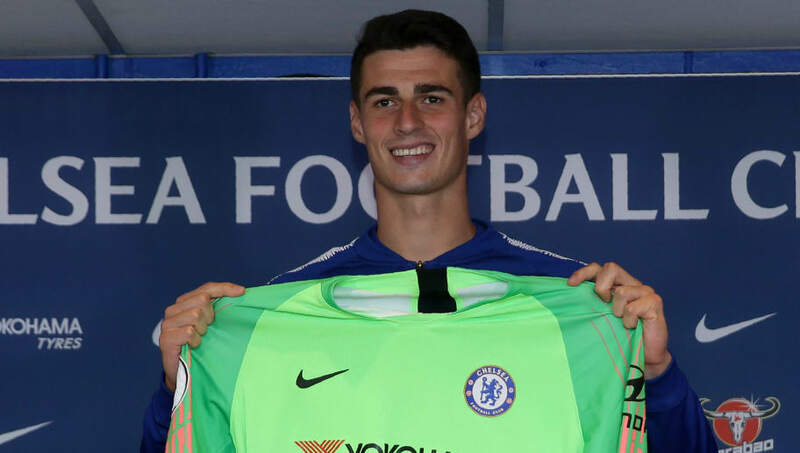 ​Chelsea replaced Courtois with Kepa Arrizabalaga, whose £71m transfer from Athletic Bilbao marked the second time in this transfer window that the world record fee for a goalkeeper had been broken by an English club. Liverpool spent £55.8m on Alisson earlier in the window. ​While two of last season's top six were splashing the cash, the rest were less involved. The combined net spends of Arsenal (£59.8m), Manchester United (£51.6m) and Manchester City (£25.7m) came to less than Liverpool's net spend alone. ​The lowest spenders of all were Tottenham, who didn't part with a penny all summer, becoming the first Premier League team in the transfer window era not to sign a single player. ​Fulham became the first ever newly-promoted club to spend over £100m in a single summer. 12 new players arrived at Craven Cottage, including five on deadline day alone. Their net spend was second only to Liverpool's. ​With Wolves spending £69.8m and Cardiff spending £28.5m, the combined expenditure of the three promoted clubs came to €214.9m. By comparison, the promoted clubs of Serie A have spent just €25.6m (£22.9m) between them, while La Liga's three new boys have spent a paltry €10.6m (£9.5m). There are still three weeks to go for those teams though. ​The club who signed more players than any other was Brighton. The Seagulls added 16 new players to their ranks, although many of these were youth prospects who won't be involved with the first team this season. ​10 Premier League clubs broke their transfer records this summer: Bournemouth, Brighton, Burnley, Cardiff, Chelsea, Fulham, Huddersfield, Manchester City, West Ham and Wolves. ​The Premier League's total spend is the highest in Europe so far, with Serie A second on £910m and La Liga third on £640m. ​Championship clubs also spent less than in previous summers, forking out £155m on transfers - down from £195m last summer. ​Now, on with the real business.